Paes, playing his 97th ATP World Tour event, and America's Cerretani lost the final 2-6 6-7(2) in one hour and 27 minutes. Veteran Indian Leander Paes had to be content with a runners-up finish at the Dubai Tennis Championships with Jamie Cerratani but the crucial 300 points are likely to help him leapfrog in the rankings ladder ahead of Davis Cup selection. The 44 -year, old was playing his first ATP World Tour final in more than three years and the performance has earned him 300 ranking points. He is ranked 52 now with 1525 points. He was defending 180 ranking points, having made the semi-finals here last year. Divij Sharan India No 2 behind Rohan Bopanna (world No 20). Divij, who is currently world No 45, has 1715 points and had lost in the first round with Yuichi Sugita. It will be interesting to see if Leander goes ahead of left-handed Sharan, one of the most consistent Indian players in 2017. Usually, the Davis Cup selection committee considers rankings apart from performance for picking the squad. If Leander indeed goes above Sharan, it will be interesting to see what selection committee does. 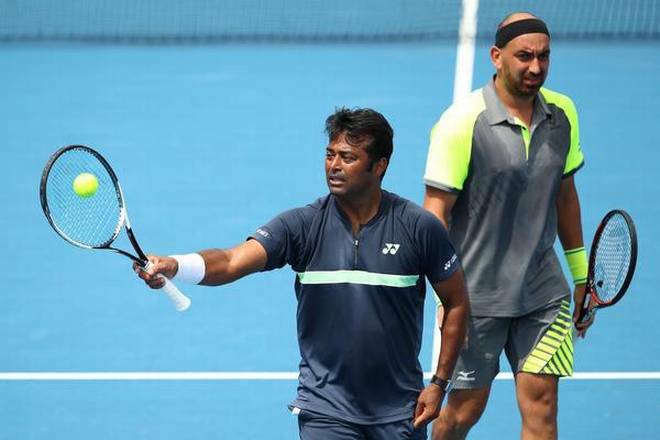 Paes has been ignored for Davis Cup selection for some time, after the Bengaluru fiasco, where the legend was included in the six-man squad but was not including in the final-four by captain Mahesh Bhupathi. India are set to play with China in an away tie in the Asia/Oceania Group I second round tie in April first week.